In the last number of years, Depeche Mode has risen to the top of my list of favorite bands, not second anymore, but now equal to Rush. Depeche Mode is almost the antithesis of what I typically look for in a group of musicians – they’re not virtuoso instrumentalists, and they don’t even have a drummer! Yet, there’s something about their music that keeps me coming back for more, time and time again. They are often mislabeled as an 80’s synth pop band, however, they are so much more. In fact, they are not and 80’s band at all. Actually, they are one of the few “pop” bands from the 80’s that has never stopped making albums (as a matter fact there are some blasphemous rumors that there is a forthcoming album and tour in 2017). Apart from that, they bring to the table a dark aesthetic and soulfulness that truly sets them apart from other bands that one may commonly associate them with. I love Depeche Mode. I celebrate their entire collection… well, almost their entire collection, that is, until recently. As with anyone who has a favorite band, I tend to get totally sucked in to the band’s current collection as it exists at the time that I discover them. Anything after that tends to seem somewhat foreign to me. I’d be lying if I pretended to not be disappointed with Depeche Mode’s later albums. They don’t seem like “Real Depeche Mode” – and I’m not speaking about some perceived lack of depth in their music after the early 90s departure of Alan Wilder. There’s something more, and I finally found an opportunity to explore that. 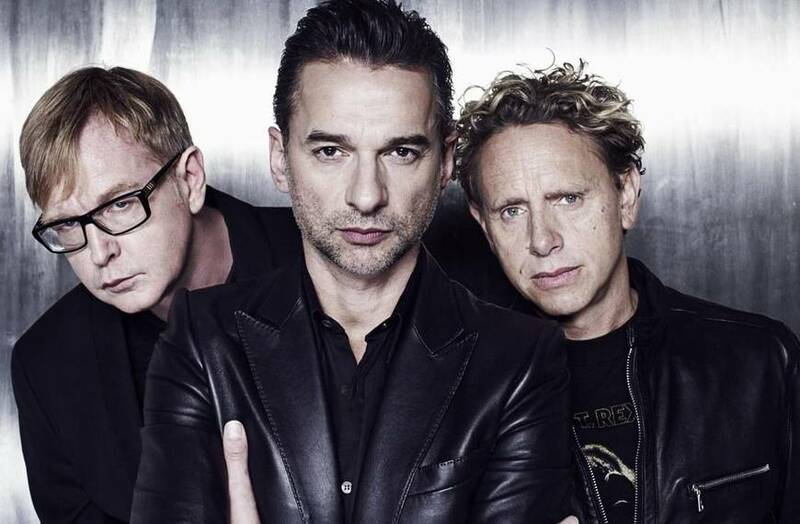 The issue is not totally with me or even with the music itself, but rather with the nature of what Depeche Mode, at its core is – an electronic band. Throughout their career, they have been a band full of keyboard players whose sound relies heavily on the technology of the day. Unlike my other favorite band, Rush (we’ll use them as an example here), who can play one note, and you know without a doubt it is Rush, Depeche Mode’s sound has changed drastically over the years. Sure, an 80’s Rush album sounds 80’s, and a 90’s Rush album sounds 90’s, and so forth. Yet, no matter the era, Rush is still a bassist, a guitarist, and a drummer, giving them a common thread despite adapting to the times with their sound. Synthesizers, on the other hand have changed drastically since their inception both in terms of sound and application. Furthermore, the very nature of electronic music, even in the last 10 years has evolved. Just as a band like Rush alters their sound to fit the era in which they are playing, so too must an electronic band like Depeche Mode. Combine that with the aforementioned technological changes, and you can see how Depeche Mode’s sound might change a great deal. Just listen to a song like “Just Can’t Get Enough”, and compare it to “Walking In My Shoes”. Now, compare that to anything on “Delta Machine”. On the surface, you will undoubtedly notice a very serious difference between the three. In each case, the song sounds like an electronically created song of its time, but given a further listen, each song is without a doubt Depeche Mode. 2. Martin L. Gore. Check! 5. Dark, yet approachable sound. Check! 6. Bizzare electronic percussive noises interspersed throughout. Check! 7. Weird synthetic sounds somehow bludgeoned into fitting the music. Check! 8. Intentional discord that enhance the dark aesthetic. Check! 9. Thoughtful, well placed transitions. Check! 10. Lyrical themes exploring the not so pretty side of love. Check! 11. Martin singing the odd, very emotional songs. Check! So you see, The soul of Depeche Mode is alive and well. Maybe I was alone in ever thinking it was’t, but if not, then I hope I have persuaded you to give these latest albums of one of my favorite bands a listen. There are some killer tracks to be heard for sure! Thanks for this post!! You know, I’m a millennial who’s basically missed the entire “classical Depeche Mode” period — and what drove me to their music were the albums you discuss: “Exciter” and “Playing the Angel”. Later on, surely, I learned to admire their 80s and 90s stuff, but “my” Depeche Mode will always be that of the 2000s. Such richness to choose from, isn’t it! I was introduced to Depeche Mode in the early 2000s. However, I was introduced to them by somebody who was already a big fan. He gave me a mix CD with their late 80s and early 90s stuff, then another disc of early 80s Depeche Mode, so that became normal Depeche Mode for me. There is indeed a great deal of richness to their music. To me, what makes a band enduring is the ability to re-invent itself to stay with the sound of the times, yet remain unwaveringly themselves. That’s why Rush and Depeche Mode are my favorites! Thanks for reading!